Welcome: rooms, flats, appartements, comfortable suites with pool and wellness center in the south of South Tyrol. Vacation in appartement, studio or suite. Sports holidays: bike, walk and swim. Wellness & beauty holidays in Eppan. Your romantic holidays in the double room of the hotel, in a suite or in a cosy studio. Vacation for families and children in an apartment. Holidays in the double-rooms of the Hotel. Vacations in the appartments of the Hotel. Holidays for families in our flats. Accomodation in the romantic suite. Breaks in a cosy studio. A comfortable lounge as well as a large sunny terrace with a unique panoramic view over the whole area of Eppan/Appiano and Bozen/Bolzano is free for all our guests. Holidays for children in our Hotel. Playground area, with wigwam, play castel, sand box, swing and slide, trampoline and table tennis. Breaks in the pool, sauna and steam bath of our wellness area. Relax in our beauty farm. Fortresses, castles and noble residences in Eppan the vine village. Relaxing holidays in South Tirol : holidays for the whole family. Videos of the hotel, the rooms and apartments. Videos about the holidays waiting for you. Panoramic view form the Appartement Hotel Matscher Wellness & Beauty trough the hills around our house with the villages Saint Pauls, Bozen/Bolzano, Girlan/Cornaiano and the Dolomites behind. Price list, view of the single rooms and offers. Contact and informations for holidays for families or romantic breaks in single and double room, suite, studio, apartment, bed and breakfast. Appartement Hotel Matscher. 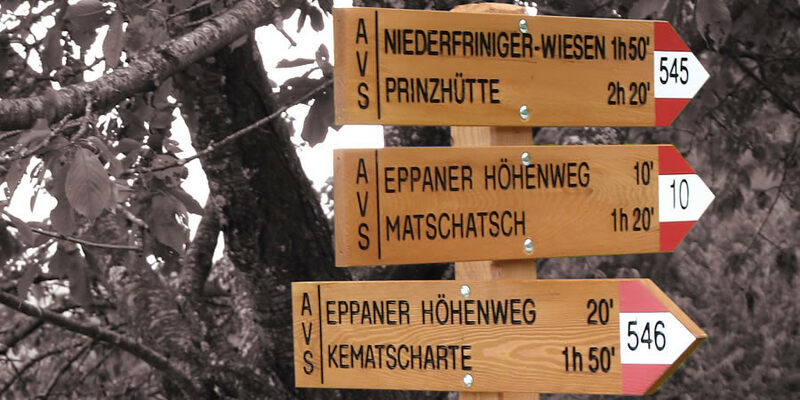 How to reach us by car, train or airplane from Munich, Füssen, Landeck, Lienz or Davos. Credits and information about privacy and copyright.